CLINTON COUNTY — The unofficial slate of local candidates is set for the May 7 primary election, and some incumbents will face challengers. The deadline to file was 4 p.m. Wednesday, Feb. 6. In Wilmington, Mayor John Stanforth will be challenged by former city employee Larry Reinsmith. Both are Republicans. Incumbent 1st Ward councilmember Republican Jonathan McKay will face off against Republican challenger Matt Swindler for the 1st Ward seat in the primary. In the 2nd Ward, Democrat Michael Snarr, who was recently appointed to fill Michael Allbright’s vacated seat when Allbright moved to another ward, faces no primary challenge. But Snarr will face off with former councilmember Republican Loren Stuckert in November. Two incumbent Republicans, 3rd Ward’s Kristi Fickert and 4th Ward’s Matt Purkey, will run opposed for their respective districts. Incumbent at-large councilmembers, Democrats Kelsey Swindler and Tyler Williams, will seek re-election in November, along with Democratic challenger Michael Allbright, who is running for an at-large seat. Republican incumbent Bill Liermann and Republican former mayor Clifford “Nick” Eveland will also vie for at-large seats in the general election. Thus, in the fall election, there will be five candidates for the three at-large council seats. Other unopposed city candidates are Wilmington Law Director Brett Rudduck and Council President Mark McKay. Deputy city auditor Mary Kay Vance will run unopposed to be David Hollingsworth’s successor as city auditor. In Blanchester, Mayor John Carman will run unopposed. The Blanchester Village Council slate will consist of candidates Robert Morgan and incumbents Cynthia Sutton and Don Gephart. Morgan had recently sent a letter of interest in filling Lori Byrom’s council seat after she resigned due to moving out of the village. Two incumbents, Robert Haines and Dennis Blocker, will run unopposed for the two available spots on the Blanchester Board of Public Affairs (BPA). 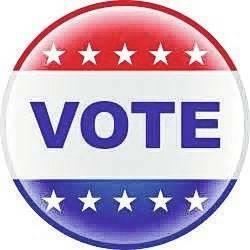 All candidates’ petitions will be reviewed for validity and sufficiency by the Clinton County Board of Elections on Feb. 19.